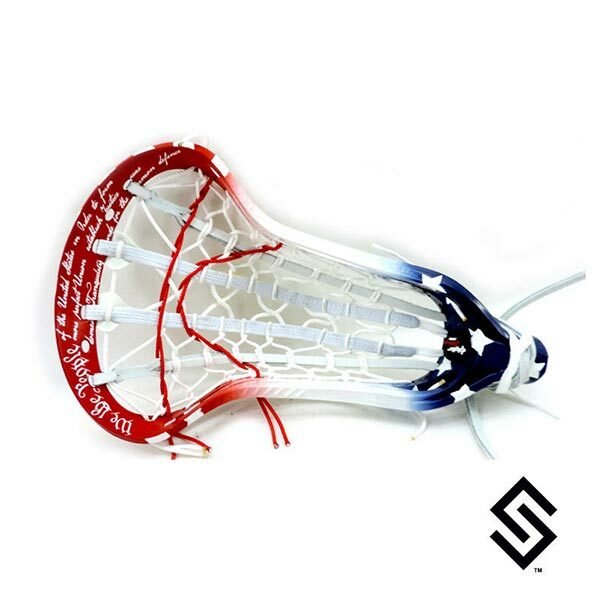 The StylinStrings Constitution Fade with Stars Dye Job is a great way to show your patriotism on the field. If you are PURCHASING a new Unstrung Head today, select the 'Purchasing a New Head from this Website Today' option below. If you are SENDING your Head in or DROP SHIPPING one from another retailer, select the 'Sending My Head to StylinStrings' option below. Describe your head you are purchasing today or sending to us below. Include the manufacturer and head name. If this is a goalie head, indicate this below. There is an additional charge for goalie head dye jobs due the increased amount of plastic area we have to cover.